Hi, everyone! 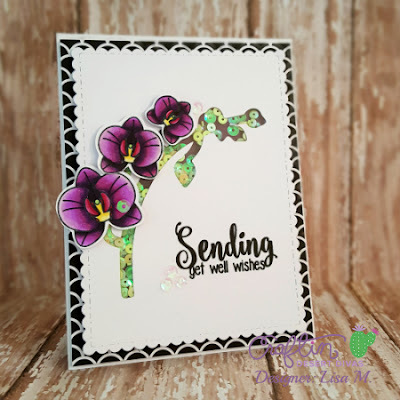 Lisa from The Relativity of Paper bringing you the CDD Daily post featuring Wishful Thoughts Stamps and Flowers In Bloom Stamps. I decided that I wanted to create a Get Well card and thought this was the perfect time to use these beautiful Orchids. I've been using my SVG Outlines a lot lately to build shaker cards, and I decided to run with that technique once again. I have to say I'm kind of loving the end result. This method is so easy, once your SVG Outlines merged into your designer software, size it accordingly. I change the size of my mat to 4.25in. X 5.5in., the same size as my card base. By doing this, you can determine exactly where you want your cutout. 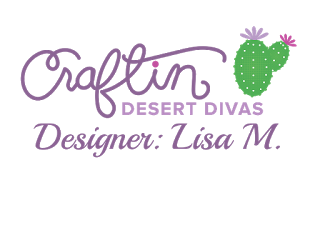 I usually center mine so that I can use a die-cut like the Fancy Frame Dies. You will be surprised how quickly this card comes together. So clever and beautiful! 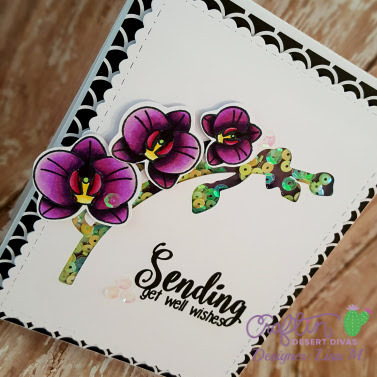 Amazing card!